On a dark night, look for it as a smudge of light, with 3 times the moon’s diameter. It’s really a wondrous cluster of stars called the Beehive, or M44. 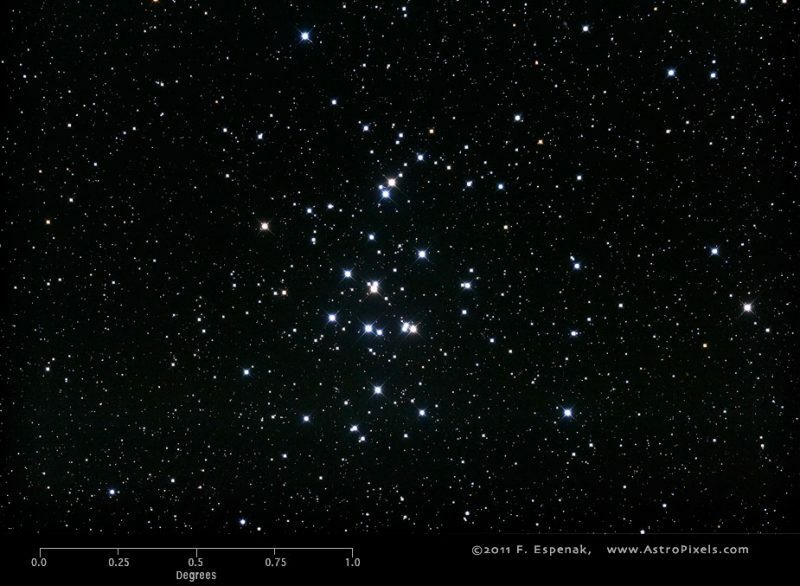 Beehive star cluster, aka M44, by Fred Espenak at AstroPixels. Used with permission. 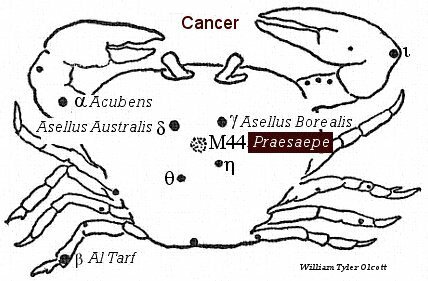 Although it’s one of the 12 constellations of the Zodiac, Cancer the Crab is so faint that you’d likely never notice it … except for the lovely star cluster in its midst. This cluster is commonly known as the Beehive, or M44. Astronomers know it as NGC2632. An older name is Praesepe (manger or crib in Latin). The Beehive is a wonderful swarm of stars, glimpsed with the eye in a dark location and easily found in binoculars. Its size is 1.5 degrees, or three full moon diameters. Although the eye cannot detect them, it contains a thousand stars. Follow the links below to learn more. Look for the Beehive between the Gemini stars Castor and Pollux and the star Regulus in Leo. How to see the Beehive star cluster. Keep an eye out for Regulus, and the Gemini stars Castor and Pollux, for they’re your guide stars to the Beehive star cluster. 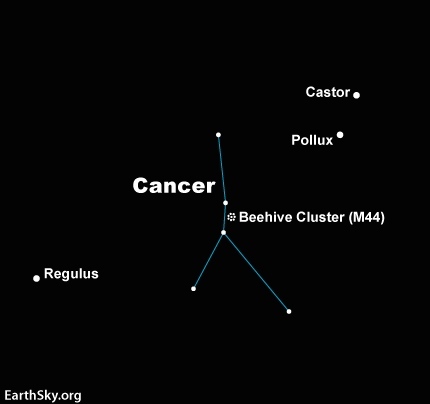 The Beehive star cluster is halfway between Regulus and the Castor-and-Pollux pair. In March, look in the east after dark. You’ll probably see Regulus, the brightest star in the constellation Leo, rather close to the eastern horizon. Then the bright stars Castor and Pollux in constellation Gemini will catch your eye higher up in the eastern sky. As the months pass, the Beehive will climb higher in the evening sky. It disappears from the western evening sky in late June, and returns to the eastern morning sky, starting around late August. You’d think that an object with so many names – NGC2632, M44, Praesepe, Beehive – would be bright. But the Beehive star cluster isn’t bright. Only in dark country skies can you see this faint fuzzy object with the unaided eye. However, binoculars magically transform this smudge of light into a glittery swarm of stars. 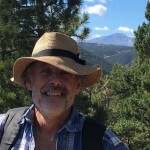 … the nebulous mass in the breast of Cancer. If Praesaepe is not visible in a clear sky it is a presage of a violent storm. Galileo had the first telescopic view of the Beehive in 1609. With his paper tube and two pieces of glass he was able to detect 40 stars. Around 1769, Charles Messier added the cluster to his famous catalog of nebulous objects. Hence the designation M44 – the 44th object in Messier’s catalog. The Beehive star cluster was known as a manger in Greek and Roman mythology. You might notice two bright stars on either side of the cluster with your binoculars, or you might see them with the unaided eye in dark skies. These two stars are Asellus Borealis and Asellus Australis. In skylore, they represent the donkeys that Dionysos and Silenus rode into battle against the Titans. 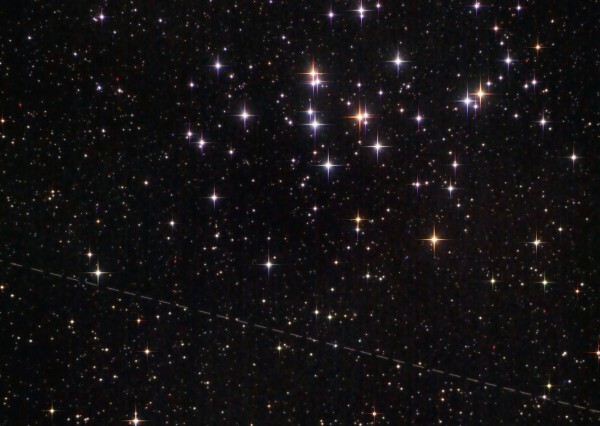 We saw some beautiful shots of the Beehive cluster in early 2015, when the close-passing asteroid 2004 BL 86 (visible here as a dashed line) swept near it in the sky. Van Macatee in Rutledge, Georgia, captured this photo on the morning of January 27, 2015. The Beehive’s 1,000 stars. There are approximately 1,000 stars in the beautiful Beehive cluster, which is an open cluster of stars in our galaxy. Open clusters are stars that are gravitationally bound and are created out of the same star-forming nebulae, such as the stars in the Orion Nebula. The Beehive is one of the nearest open clusters to our sun and Earth. It has a larger population of stars than most other nearby clusters. The Beehive open cluster’s distance is estimated to be between 520 to 610 light years from our solar system. If you use binoculars to see the Beehive, the brightest star you are seeing is 42 Cancri. In 2012 two planets were found in the Beehive by the Kepler Space Observatory. They orbit two different stars and have been designated Pr0201b and Pr0211b. Both of these planets are hot Jupiters, that is, massive gas giants, in both cases orbiting very close to their stars. 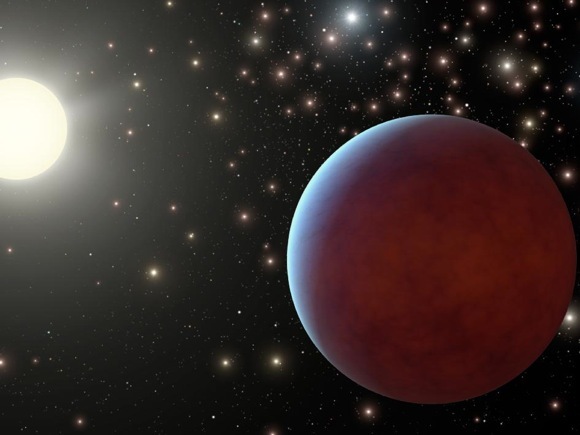 These two were the first planets detected orbiting stars like our own sun that were situated in an open star cluster. Since their discovery, Kepler has found four more exoplanets orbiting stars in the Beehive; more are expected since Kepler will be turning back toward the Beehive later in 2018. Artist’s concept of gas giant planet in Beehive star cluster. All around, the stars of the Beehive cluster shine brightly in the dark. Image via NASA/JPL-Caltech. Bottom line: How to find the Beehive star cluster in your night sky.